Poufs / Stools - LIVING AND CO.
Beautiful House Doctor Abi pouf. 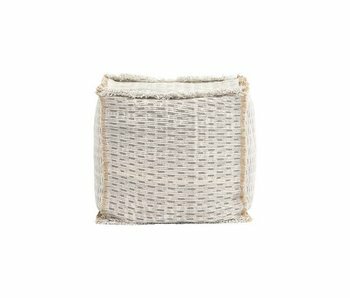 This Abi pouf is made of cotton and jute and has fringes on the sides. The length is 55cm, width 55cm and height 40cm. Can also be used as a side table in the bedroom! Beautiful House Doctor Abi pouf. This Abi pouf is made of cotton and jute and has fringes on the sides. The length is 40cm, width 40cm and height 40cm. Can also be used as a side table in the bedroom! Beautiful House Doctor Weave pouf. 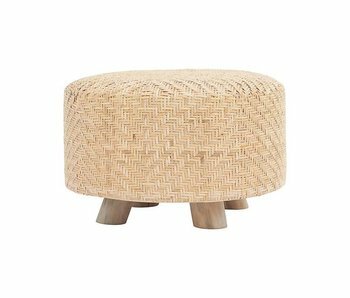 This Weave pouf is made of wood and provided with foam with rattan finish. The height of the pouf is 46cm. Can also be used as a side table in the bedroom! Beautiful House Doctor Weave pouf. This Weave pouf is made of wood and provided with foam with rattan finish. The height of the pouf is 38cm. Nice combined with the other items from the new House Doctor collection! Beautiful House Doctor Teaky chair. This Teaky chair is made of natural teak wood. The seat height of the chair is 44.5 cm. Nice combined with the House Doctor Teaky table! Tough Casa 10 pouf from the Danish House Doctor. The Casa 10 pouf module is upholstered in velvet beige. The House Doctor Casa 10 series consists of several modules that can be linked to form one whole. Tough Casa 10 pouf from the Danish House Doctor. The Casa 10 pouf module is upholstered in velvet green. The House Doctor Casa 10 series consists of several modules that can be linked to form one whole. Tough Casa 10 pouf from the Danish House Doctor. The Casa 10 pouf module is upholstered in light gray. The House Doctor Casa 10 series consists of several modules that can be linked to form one whole. Beautiful House Doctor pouf made of blue gray suede. This pouf can be used separately but can also be combined as a footstool with a chair. The pouf is 40cm high with a length of 40cm and a width of 40cm. Beautiful House Doctor pouf made of blue gray suede. This pouf can be used separately but can also be combined as a footstool with a chair. The pouf is 45cm high with a length of 120cm and a width of 60cm. Beautiful House Doctor pouf made of blue gray suede. This pouf can be used separately but can also be combined as a footstool with a chair. The pouf is 45cm high with a length of 60cm and a width of 60cm. Beautiful House Doctor Viggo bar chair! This Viggo bar chair is made of black metal and has a polyester seat. The bar chair is 72cm high, 39cm long and 35cm deep. Nice to combine with the Viggo stool. Beautiful House Doctor Viggo stool! 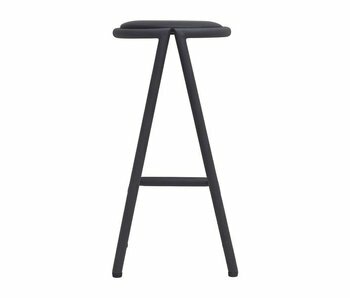 This Viggo stool is made of black metal and has a polyester seat. The stool is 45cm high, 60cm long and 45cm deep. Nice to use at the dining room table! Beautiful House Doctor Box pouf. 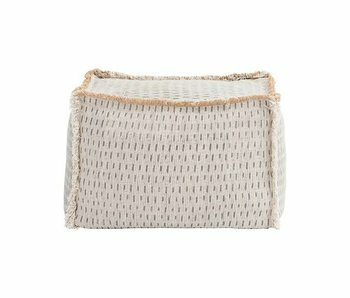 This Box pouf is made of a sand colored polyester fabric with metal base. The pouf is 90cm wide and 50cm deep. Combine the pouf with the House Doctor Box modular sofa for a unique look! Beautiful House Doctor Box pouf. This Box pouf is made of a dark green polyester fabric with metal base. The pouf is 90cm wide and 50cm deep. Combine the pouf with the House Doctor Box modular sofa for a unique look! Beautiful House Doctor Box pouf. 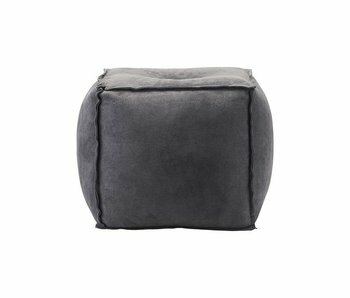 This Box pouf is made of a gray polyester fabric with metal base. The pouf is 90cm wide and 50cm deep. Combine the pouf with the House Doctor Box modular sofa for a unique look! House Doctor Life pouf with fringes. The beige Life pouf has a beautiful pattern, made of cotton with a polyester filling. Nice to combine with items from the new House Doctor collection. The House Doctor Pablo stained black stool looks great in any interior. Can be perfectly used next to the bed as nightstand. Combine this stool with the other wonderful items from the new collection House Doctor. What an eye-catcher! 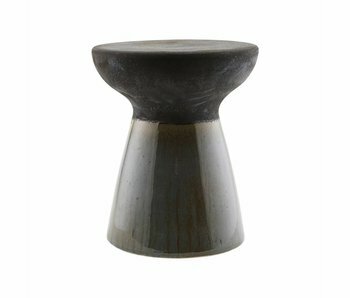 The dark green House Doctor Scarpa stool looks great in any interior. Solid construction, because it's made of metal. Combine this stool with the other wonderful items from the new collection House Doctor. Beautiful Rhombos pouf from Danish House Doctor. The base is made of black metal, the comfortable padded foam seat is made of black/white cotton. The House Doctor Rhombos pouf is nice to combine with cushions for a unique look! Beautiful Greys pouf from Danish House Doctor. The base is made of black metal, the comfortable padded foam seat is made of gray cotton. The House Doctor Grey pouf is nice to combine with cushions for a unique look! Beautiful House Doctor pouf! Mila The pouf is made of 80% wool and has an soft inner side for optimum comfort. Nice to combine with other items from the new collection House Doctor. What an eye-catcher! The House Doctor Scarpa stool is great in any interior. Solid construction, because the handle is made of metal. Combine this stool with the other wonderful items from the new collection House Doctor.